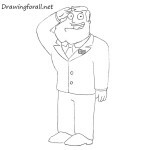 In one of the previous drawing lessons, we showed you how to draw Stan Smith from American Dad. 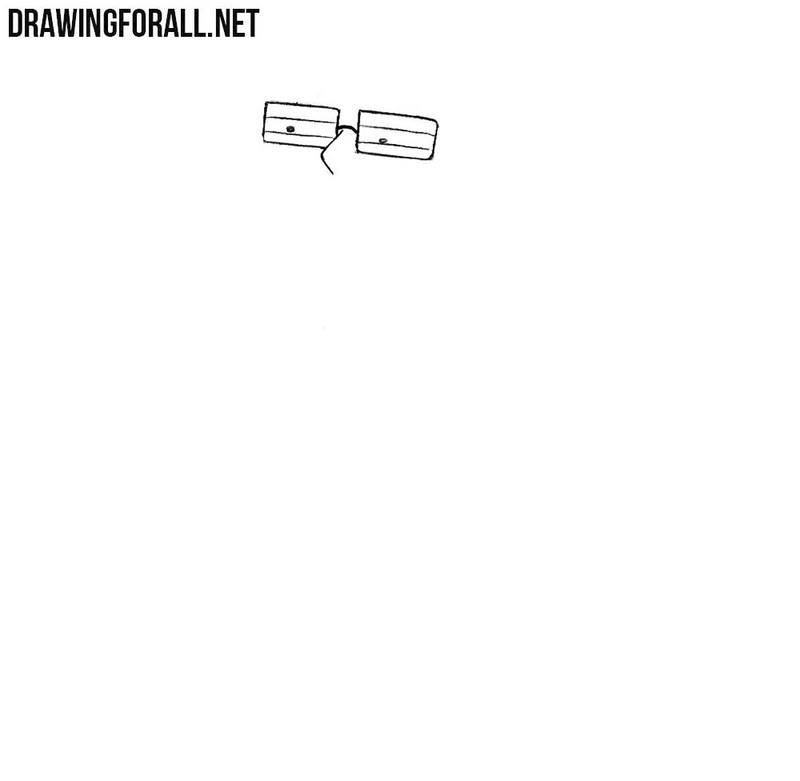 In this lesson we will show you how to draw his son, so let’s begin the lesson about how to draw Steve Smith. 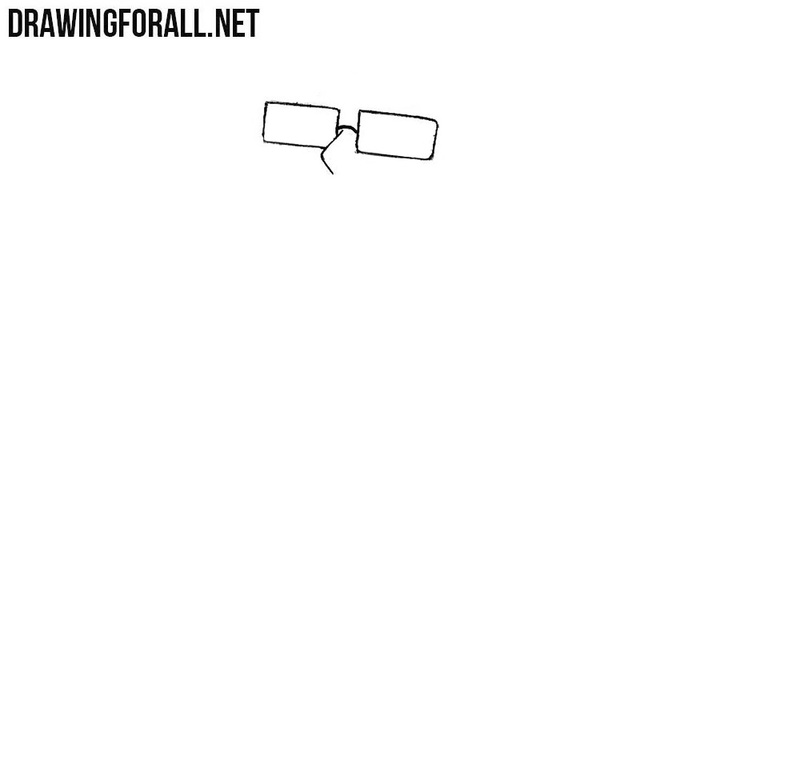 First of all draw out the outlines of the rectangular glasses and sharp nose of our today’s character. 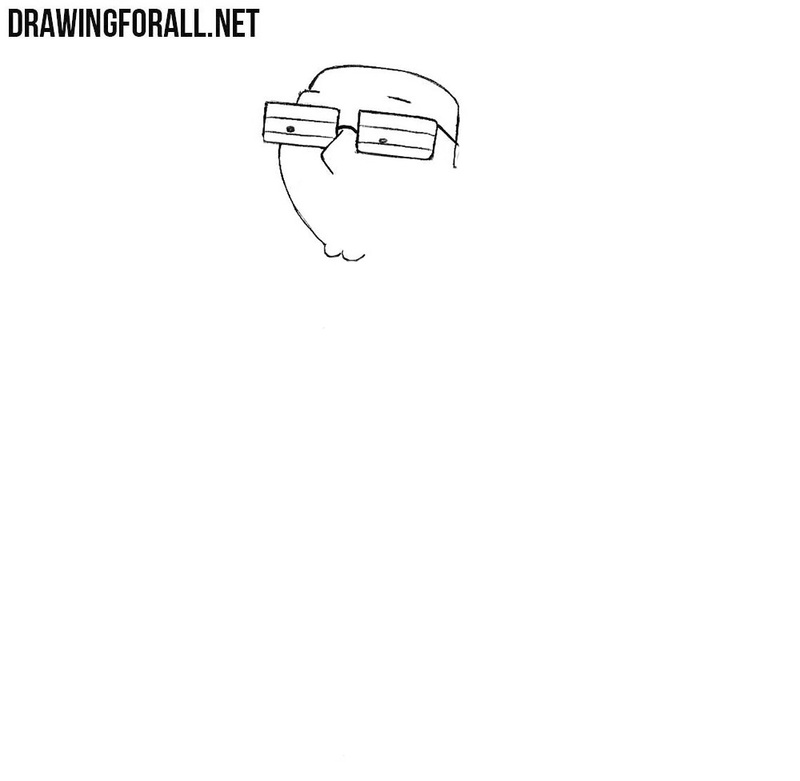 A very simple step in which we draw Steve Smith’s eyelids and pupils that look like simple dots. 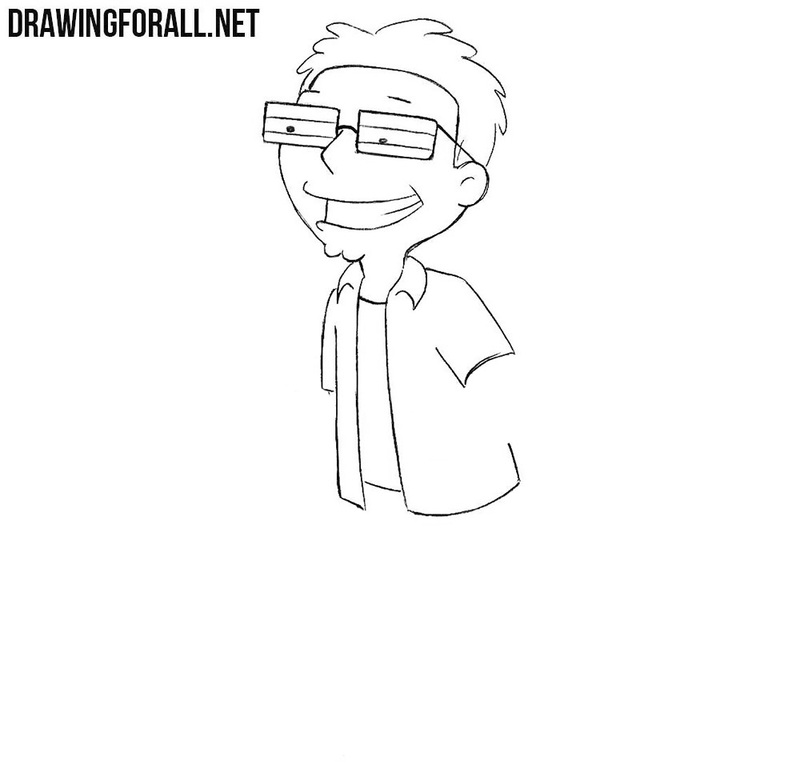 Draw contours of the face and chin (similar to a cartoon bone), as in our example. Draw the eyebrows. 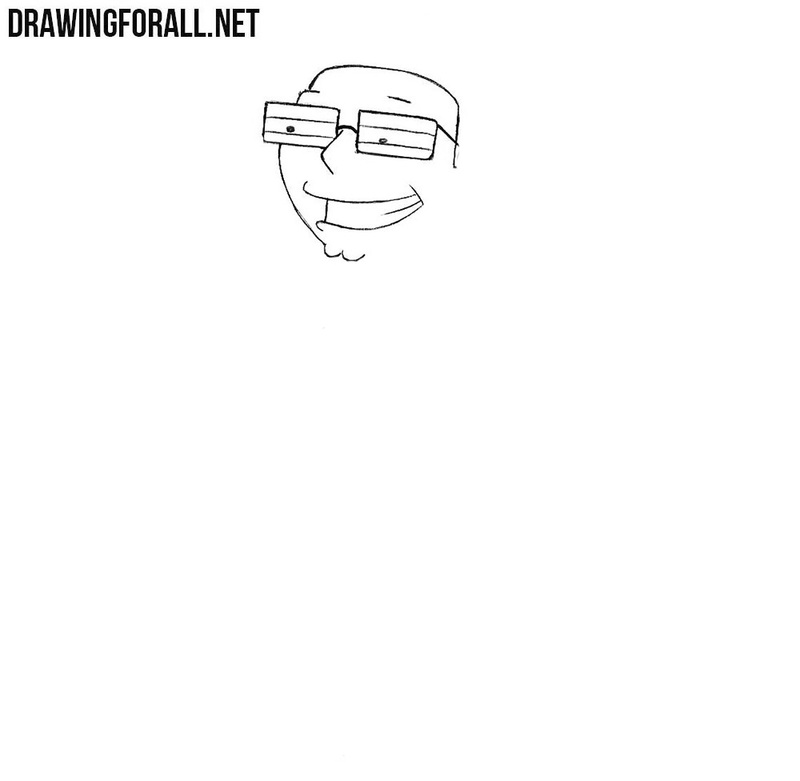 Draw a smiling mouth with a line of teeth at the very end of the mouth. Move a slightly above and draw out the outlines of the disheveled hair. In the same step, we draw the ear and neck. A fairly complex step in which we will draw a collar, sleeves and other parts of outerwear. Another pretty difficult step in which we draw out the hands clenched into fists. Using three simple lines draw out the outlines of Steve Smith’s pants. 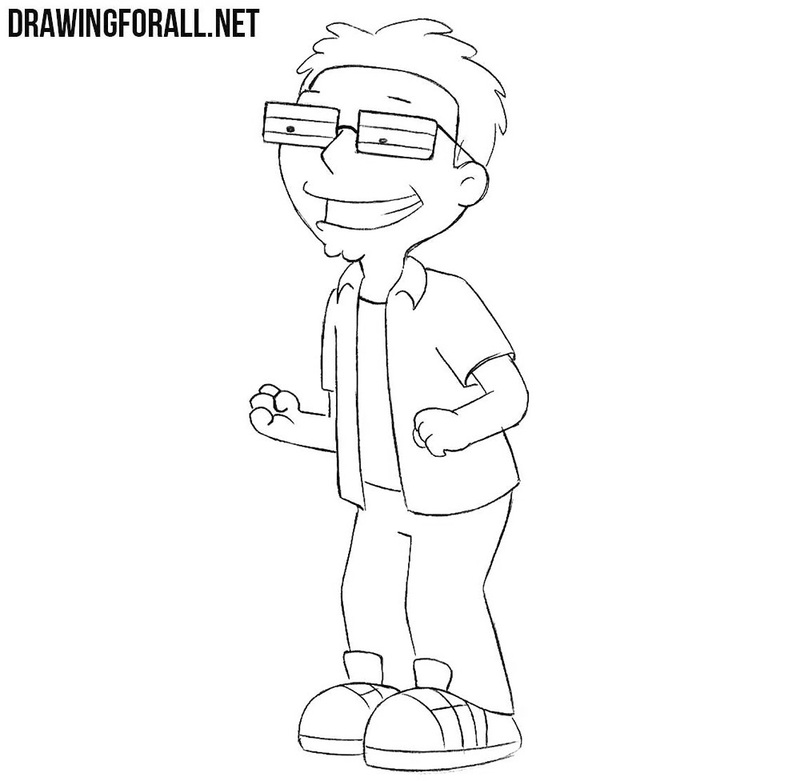 Draw our large sneakers and the lesson about how to draw Steve Smith from American Dad is ready. 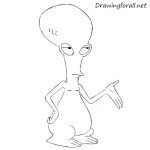 This was another lesson about the characters from the animated series American Dad. In the future, we will draw all the remaining characters from this series. Write what characters you want to learn how to draw, and our artists and editors will create a drawing tutorial about this character. Also, be sure to visit the category called “Cartoons” on our website to see how to draw characters from the most diverse universes.